Apple has agreed a deal for Telegraph Media Group to be its exclusive ad sales partner in the UK for Apple News, its fast-growing mobile news service. Telegraph Media Group said it has seen extremely rapid uptake of its own news on Apple News with page views up fivefold in the last three months. Apple News has been pre-installed on the iPhone and iPad since the launch of its operating system, iOS9, last year, making the service a default option for hundreds of millions of users of Apple devices. It is understood that Apple has ambitions for Apple News to become an essential service for its users, which could challenge Facebook and Google as third-party platforms. Apple's deal with TMG will mean the publisher of the Daily Telegraph will sell the ads that appear in Apple-controlled inventory – primarily Apple News' main "For You" section, a personalised feed of news based on a user's habits and interests, and in the search function. When users click into a publisher's own news section within Apple News, the publisher can charge advertisers and keep 100% of the ad revenue. But now the publisher has a choice as it can outsource ad sales or any unsold inventory to TMG which will act as reseller. Apple News has struck similar ad sales deals with NBC Universal in the US and Omnicom in Australia. There are 70m monthly users of Apple News in those three countries, according to Apple, which wants to outsource ad sales in other markets in future. 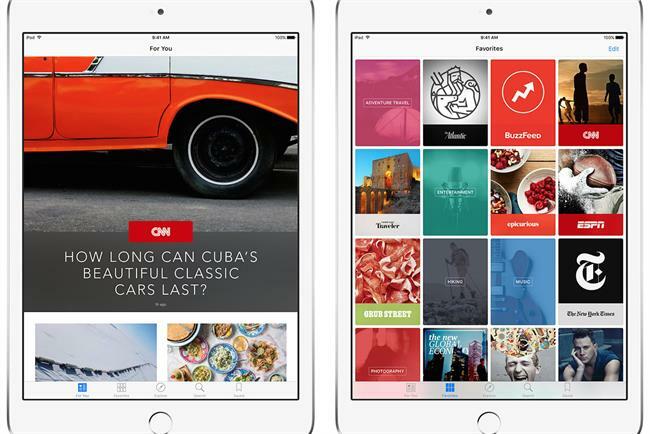 About 4,000 publishers have a relationship with Apple News. Users cannot block ads in Apple News because it is part of the Apple platform. Apple said it wanted to support publishers because news is important to its users, even though it does not see news as a major source of revenue for itself. TMG has been keen on Apple News because it will allow the publisher to charge for its new Telegraph Premium content, chiefly comment and analysis. Jim Freeman, commercial director of sales and trading at Telegraph Media Group, said: "This is a partnership that dovetails beautifully with The Telegraph's own mission to provide advertisers with premium common sense advertising solutions that are seen and seen for a meaningful amount of time, by real people in a quality environment. "Apple News takes this to a new level with access to the best publishers, the highest quality ad formats, all delivering market-beating response. "If you were to invent the mobile web today, you would make it look, feel and act like Apple News."